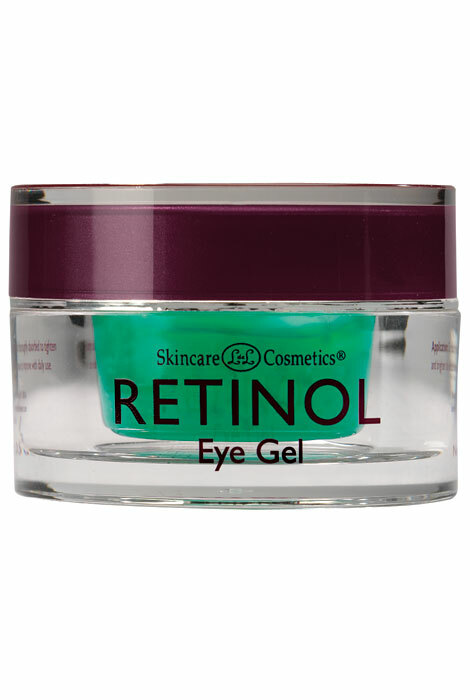 Skincare Cosmetics® Retinol Eye Gel is formulated with Vitamins A, C, and E. This cooling, fragrance-free retinol eye gel moisturizes the delicate skin around the eyes to reduce fine lines, dark circles, and puffiness for a younger look. Gold beads contain a polypeptide boost of Vitamin A. 0.5 oz. Results will continue to improve with nightly use. Water (Aqua), Glyceryl Polymethacrylate, Propylene Glycol, Retinyl Palmitate, Triethanolamine, Mica (CI 77019), Titanium Dioxide (CI 77891), PEG-8, Polysorbate 20, Diazolidinyl Urea, Disodium EDTA-Copper, Methylparaben, Zea Mays (Corn) Oil, Magnesium Ascorbyl Phosphate, Tocopheryl Acetate, Propylparaben, Iron Oxide (CI 77489), FD&C Blue 1 (CI 42090), Carbomer, Yellow 5. Smooth gently on around eye area until thoroughly absorbed. Avoid contact with eyes. Results will continue to improve with nightly use. This eye gel burned (not just stang!) my eyes every time I tried to use it! Plus there are very large grape seeds in the gel which I don't want under my eyes! So you have to weed through them. The benefits aren't bad if you can get through the burning and sifting through, but there are plenty of eye gels out there that don't have to hurt to work! I will NOT be purchasing this product again. this product is great it really worked on the fine lines around my eyes i use it faithfully along with the Retinal Day cream . excellent product and the price is great! This worked better than the prescription brand I got from my doctor. I have recommended it to friends. I am 44, but easily pass for 10 yrs younger... This product is gentle and dries quickly. You can wear make up over it, no problem. You will notice the small lines around your eyes disappear. Based on the other review - the beads in the gel, melt as you rub them lightly on your fingers or skin. I enjoy Retinol products and this is one I have not yet tried. This is my first time trying on. I want something for the puffiness under my eyes. It works, I love it. It completes my skin care regimen with the rest of the Retinol line. It is a great product line. I HAVE BEEN USING THIS EYE GEL FOR YEARS.KEEPS THE EYE AREA MOIST AND YOUTHFUL. I need help around the eyes. The price was good and the product contains retinol. This product is very good for eliminating fine wrinkles around the eye. Plus it contains retinol. 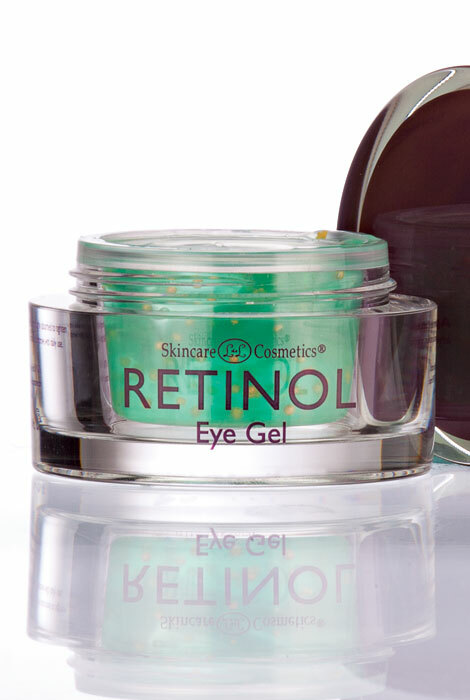 tired it for the first time - retinol- good price- my second renewal it works great i finally found an excellent product for my eyes.